The fashion keeps on changing day by day and its impact on apparels is really a bit a tremendous. People expect new and innovative collections to continuously hit the market and the branded companies keep introducing their collections in satisfying the customers’ expectations. Suits and tuxedos are the top most categories that are been highest on sale. Many men’s fashion brands such as Ralph Lauren, Diesel, Calvin Klein, Gucci, Armani, Burberry Porum, Hugo Boss, Dolce & Gabbana have their outlets across countries and keep launching new luxurious collection of men’s suits and coats. The branded suits had gained more popularity among men worldwide due to the designs, colors, patterns, tailoring and the way of manufacturing. The fine fabric selection has made these suits look elegant and magnificent. Be it a business meeting, formal event or casual get to together, these suits will offer a fascinating and presentable look. Many new arrivals of men’s fashion suits 2016 have been launched and let’s check out the few. Many international brands have introduced 3 and 4 piece winter collection suits of 2016. It is a perfect formal wear suitable for business and official events. The pairing apparels such as Ties, dress pants, classy leather jackets, shirts and jeans are also the part of new arrivals. The suit collections are tailored with smooth seams, clean lines and a better fit than most and come in attractive color schemes such as blue, black, grey and brown colors. These collections give a masculine appeal with the touch of micrographic patterns in its cut that made of fine polyester and silk fitted waist jacket. The wide side slits with perfect matching slim pants gives the overall stunning look to the wearer. It is a kind of custom made business suit that gives a full-fledged formal look. The suit can be highlighted as a typical traditional collection as it adorns the exceptional handwork of late 90s to decorate the fabrics. Very impressive and unique brand collection of 2016 that is suitable for men and boys. In shorter span these collections have gained popularity among crowd where the classic touch being the most inspirable one. Perfect fitting and charming style is the specialty of this charcoal collection. The fabric selection and the kind of make have even added classiness to the attire. The suit comes with a perfect fit and cut and hence full fills the expectations of the modern men. Suitable for business-man, bankers and officers. Focus had launched its new trendy men collection 2016 for modern men. 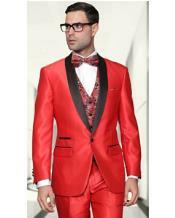 The brand is popular for its men pen coat, formal wear, wedding wear, party wear, business and other events. The commendable bold shades give a vibrant look on the wearer. Their stunning collections are suitable for men and boys.